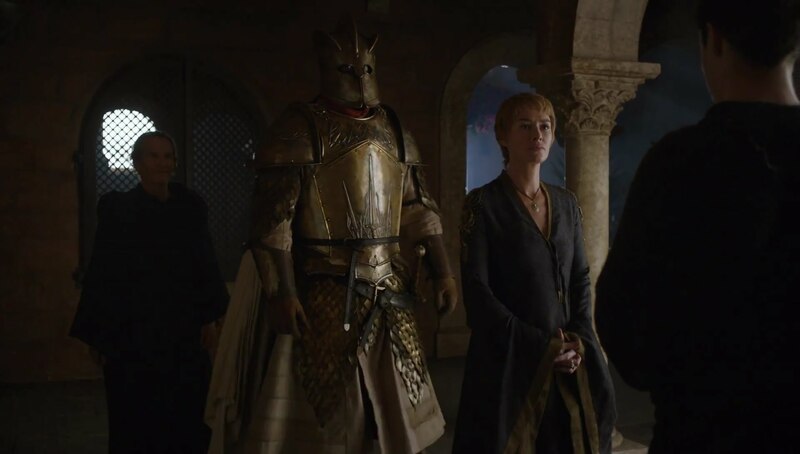 Welcome once again, PCU Fanatics, to our weekly Game of Thrones recap! This season only has 2 episodes to left, and this crazy train is non-stop. Tonight we saw Jamie, Cersei, and Arya being bad (explitive removed), the Hound going hunting, and much more. Not to mention – Did you catch that preview for next week’s episode? We’ll save that conversation for next week. Before we star tonight’s recap, if you missed last week’s episode you can check it out here. Now without further ado, let the party begin! When you mess with the Hound’s (Sandor Clegane) people, don’t expect to remain in one piece. The episode begins with Clegane catching up with the Brotherhood without Banners men who raided the Septons. Like a true Agent of destruction, Clegane tears through them like paper. Seeing a few were missing he goes hunting the rest, only to find them about to hang. Beric Dondarrion and the rest of the Brotherhood without Banners were in the middle of punishing the rogue members for the raid on the Septons. After Justice was had by everyone, Clegane and the rest of the Brother had dinner, Beric brings up that The Hound is here for a reason. The war with the walkers is coming and The Hound is needed, Clegane doesn’t answer but he looks as if he is pondering the idea. Barely surviving the attack by the Termina…I mean “The Waif”, we find Arya being nursed by Lady Crane her former target. Crane offers Arya the chance to travel with the actors when they leave town. Just as Arya puts her guard down enough to rest, we see “The Waif” kill Lady Crane then set her sights on Arya. What follows is the greatest chase sequence I have ever seen from Game of Thrones. It ends with Arya leading “The Waif” to the room where she stashed her sword “Needle”, and Arya cutting off the light. We next see the temple of the God of Many Faces, Jaqen discovers a new face of “The Waif”, Jaqen acknowledges her abilities. But Arya declares she is out of there! Arya has become a legit force to be reckoned with and now she is coming home, they are not ready! The Lannisters aren’t having any of it! First Cersei, confronted by members of the Sparrows, that she must pay for her sins (one would believe that whole “Shame” walk was enough). Cersei wasn’t having any of that, so she introduced the Sparrows to the “The Mountain”. It goes as expected, whoever cleans the castle was going to have a busy day. Cersei finds out about a Royal decree but isn’t allowed to join Tommen on stage, Tommen declares all Trials by Combat banned and that Cersei and Loras Tyrell will be punished. So her son just stabbed ole’ Moms in the back, no wonder he could look at her. As Brienne makes it to Riverrun, she talks Jaime into letting her speak with the Blackfish. Brienne tries to convince the Blackfish to stand down and join his niece in the North to fight Ramsay Bolton. Of course the Blackfish refuses he would rather die than give up his home. Jaime not having anymore of Blackfish’s shenanigans talks to Edmure Tully. Only on a few occasions have Jaime’s darker personality come out, usually it happens concerning Cersei. Jamie brings forth that darkness to help convinces Edmure to get the Army to stand down. This allowed Jaime’s forces to easily take back over the house, the Blackfish dies fighting. Jaime sees Brienne and he offers his former companion a slight wave, as she leaves Riverrun. Khaleesi leaves you alone for a few days and this happen!!! Meereen is alive and jumping, the deal Tyrion made with the Slave Masters seems to have worked out. As Tyrion, Missandei and Grey Worm celebrate their success. The Slave Master being the backstabbers they are return with a full ship battalion to take the slaves back. As the the Masters bombard the city, Tyrion and crew realize their option are limited to holding the Pyramid. Just as they began to fortify it, Khaleesi returns with that “who broke my city” look in her eyes. Momma’s home and somebody is gonna pay! Once again another stellar episode, I give it 4 faces out of 5. So what did you think of the episode? Make sure to comment below, and for all things G.o.T. 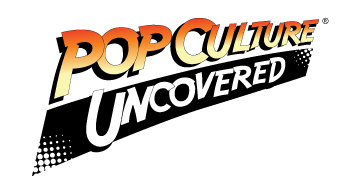 stay with Pop Culture Uncovered.